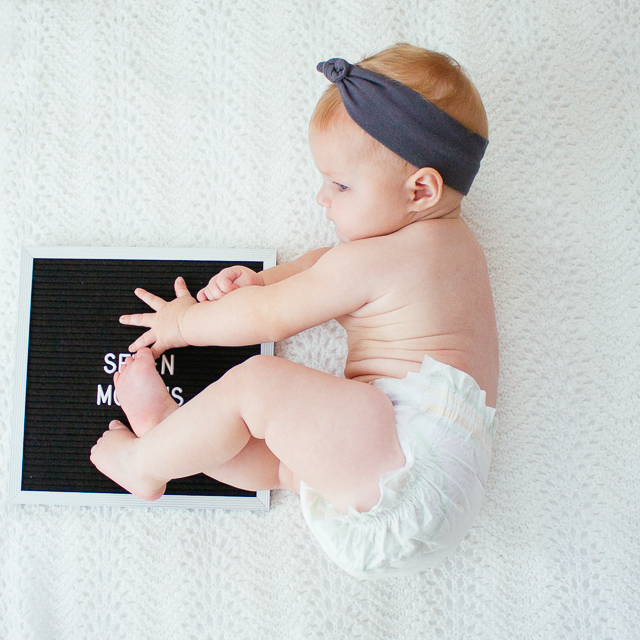 It’s that time again… time for another baby update! 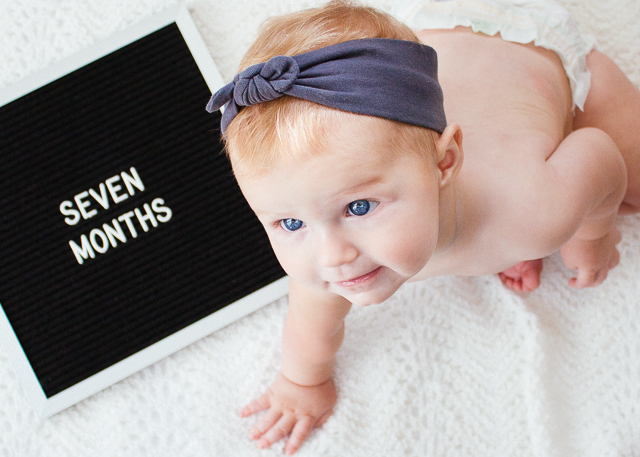 Our girl is seven months old. I swear this is one of the best ages ever. I remember loving it with Sally, too. Winnie has changed so much just in the past month! Winnie has become so much more vocal lately. When she’s excited, she does this little scream/squeal. And she loves trying to make sounds that sound like real words. She was doing none of this even a month ago, but now she loves to make sure her voice is heard in this crazy household. Winnie has also started crawling. She still only does a few legit moves with her knees up, and then she scoots on her belly because it’s faster for her. I can set her on the floor, and she’s golden for as long as necessary, entertaining herself with whatever’s lying around. That said, we’re having to be much more careful no choking hazards are on the ground because she also loves putting everything in her mouth. Winnie’s becoming more social, and I’m seeing glimpses of Sally and her being friends. I love when they laugh together and when they’re interested in each other. I know we still have a long way to go, but I’m hoping this is the beginning of a life-long friendship. 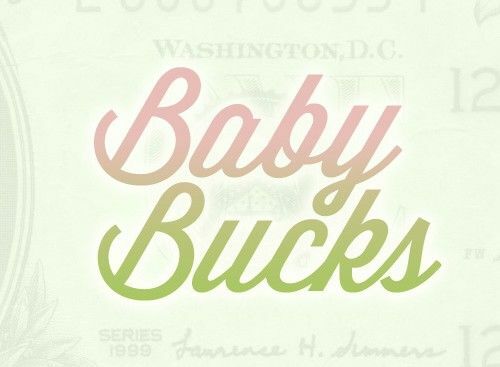 Some of these financial thoughts may not sound baby-related, but they’ll help explain our current financial baby situation. You see, in the past month, I spent $0 on Winnie. Zero! Since Sally was born, this has never happened! And technically, I did spend money on part-time child care and baby food, but those both belong in different categories of our budget (grocery and non-discretionary spending). Currently, our lives are busier than ever, and we’ve whittled out any unnecessary distractions, which includes any and all retail therapy. So while that’s nice for our budget, it means that Winnie (and Sally) aren’t being accessorized or pampered quite as much as I’d like. Hopefully I can make up for that on Christmas morning :). Also, while I normally buy diapers and wipes each month, I haven’t had to buy any because I have a surplus of both right now. But since I did spend on baby food and child care, I’ll briefly touch on both of those. I think Winnie is going to skip pureed food all together. I haven’t been able to get her to eat any of it. And what little I’ve managed to get in her mouth makes her gag and shudder with disgust. It seems she has a refined palate. As far as child care goes, I’ll touch on it during our next budget update, but it’s been a great transition for the whole family so far. 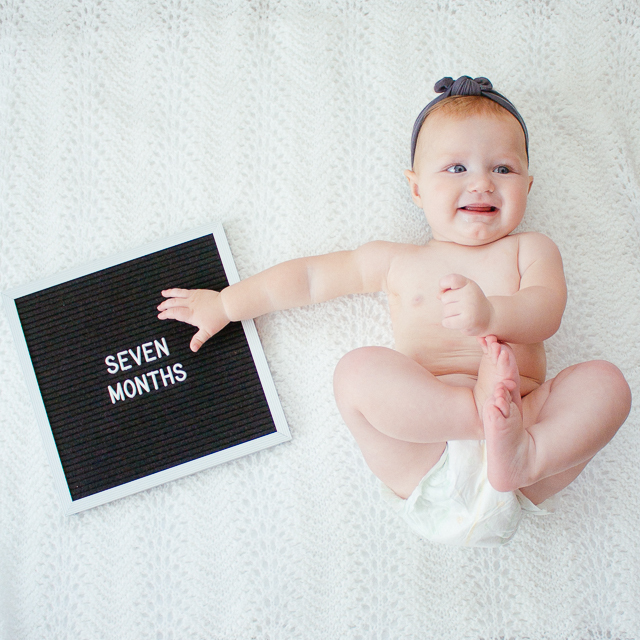 And now, here are some pictures of our little seven-month-old. She really is the happiest girl, and she brings so much joy to our day-to-day. For those of you with a little babe(s) of your own, how do we relate or differ? Also, if you’re interested, here’s Sally’s seven-month update :). Great job! Love when the $0 months happen! 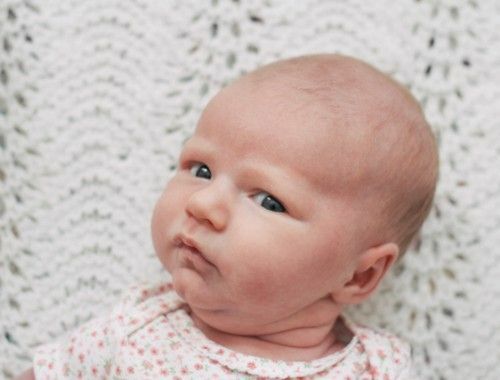 Im not currently in baby stage (1.5 and 3.5 year old) but we still have a kid category. 18 month old still in diapers and 3.5 year old still wears a pull up at nap and bed. This month I only spent $9.83 in the kid category. This was a play date to a local play cafe with my local MOPS group. Totally worth it because they have workers that watch your child for you in the play area while you have a coffee, pastry etc with friends. Usually these kind of play dates are not able to fit in our budget but my friend was able to score some great coupons from the owner. My amazon subscribe and save order is coming at beginning of month and is full of diapers, pull ups and wipes so unfortunately I forsee our full $100 budget being spent in December. Now if I can just stay out of Target! Check out Baby Led Weaning for Winnie! Sounds like her “refined palate” might love it! Winnie, cute as a button for sure. As is Sally. 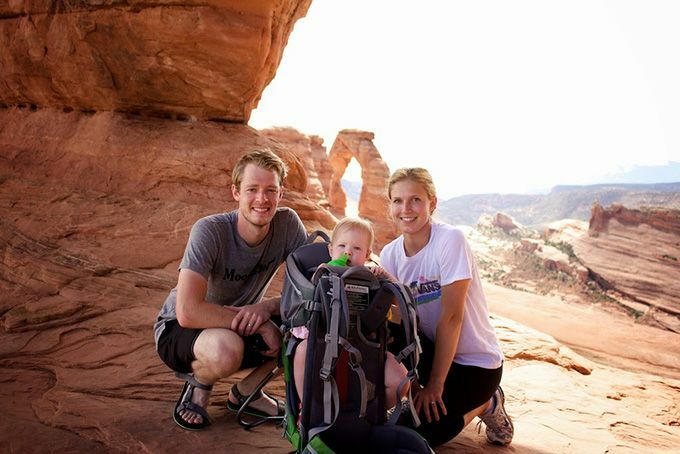 And yes, we remember those days with our two kiddos when they were the ages of your two. We don’t miss those days too much though since we get to repeat them all over again with our 5 grand kids – only now in small measured doses! Nice! I can’t believe it was a $0 month. That’s awesome! Ain’t she a beauty! I love the blanket in the background. So pretty. Where did you get it?